Skin that appears smooth, hydrated, and firm is commonly sought after. With concerns like cellulite, stretch marks, and untoned areas affecting a large percentage of the population, it only makes sense that there are products designed to tackle these specific issues. Find effective firming lotions that can help. Hundreds of moisturizers and creams claim to tone and tighten the skin. However, not all products on the market lead to noticeable results. According to Paula's Choice, many companies sell items that are poorly formulated and do not contain ingredients that firm, tighten, or lift. This leads to disappointed consumers and low-rated lotions. Does Skin Tightening Cream Work? To find a product that works, look for something that will moisturize, soften, tone, and improve the skin's elasticity. The following products have good recommendations and effective ingredients. Though there are many notable skin care brands, Jergens has established itself as one of the best. Among their popular products is the Jergens Skin Firming Toning Lotion. It contains collagen and elastin, which helps smooth out the appearance of cellulite and make skin more resilient. The lotion retails for about $6, can be found at many retail locations such as Walmart, and is beloved by both publications and consumers. It was named as a highly effective body firming lotion on The Fashion Spot, and users on Influenster praised the affordable price tag and ability to noticeably firm the skin. However, some people found it did noUnlinkt hydrate as much as they would like. So, if you are on the dry side, you may need to double up with another moisturizer. 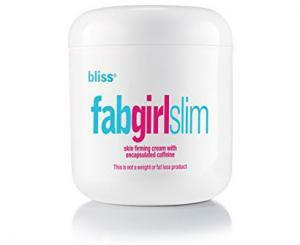 Another top contender is the Bliss FabGirlSlim Skin Firming Cream. The tongue-in-cheek name grabs attention, but the actual product has garnered some serious praise. According to a consumer study, 91 percent of women said their skin was smoother after using FabGirlSlim while 87 percent found the skin was instantly firmed and toned. It also made StyleCaster's list of the best body firming quick fixes and has received largely positive reviews. Many consumers have talked about the effectiveness and mild scent, and refer to this as a must-have. On the other hand, some were unhappy with the price tag (this retails for about $36) and that it required continued use to maintain results. This cream stands out from many others on the market as it contains encapsulated caffeine, which improves the tone and texture of the skin and fights cellulite. Few products are as loved as the Philosophy Amazing Grace Firming Lotion Emulsion. This lotion is designed to soften and smooth the skin, firm, and replenish and maintain the skin's moisture level. The award-winning product made the Rank & Style list of the best body firming creams. Reviews on MakeupAlley have mentioned the light floral scent and ability to moisturize without making skin to feel greasy or oily. It contains nourishing ingredients like shea butter and natural oils such as olive and macadamia which are naturally moisturizing. However, it is important to note that the scent is not for everyone. Some reviewers found it to be too strong or simply not to their liking. At less than $25 per bottle, this luxurious yet budget friendly item is certainly something to consider. Another option at the drugstore comes from Nivea. This brand has many well known products and is often referred to as a skin care favorite. 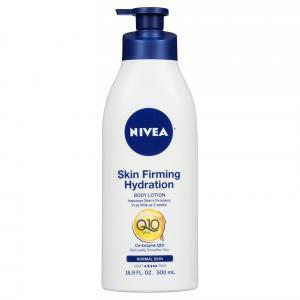 Their Q10 Plus Skin Firming lotion retails for around $10 at stores such as Ulta and is widely praised. According to TotalBeauty, it is lightweight, has a pleasant scent, and is ultra effective. There are also YouTube reviews that mention its ability to tone and smoothe. This particular product is ideal for anyone with sensitive skin as it is dermatologist tested and contains no added colors or animal-derived ingredients. Nivea has a gel and serum version of this product as well, and all three claim to improve firmness in as little as two weeks. While firming lotions have a variety of price tags, the Perricone MD Cold Plasma Anti-Aging Body Lotion is on the expensive side. The good news is that it works. This product claims to firm, tighten, and tone the skin while also smoothing out imperfections and leaving the skin nourished. It contains a number of beneficial ingredients, like vitamin C, an extract of rhodiola rosea, and DMAE. The latter is thought to firm skin that is starting to lose elasticity and reduce common signs of aging. At about $110 a bottle it is hardly an impulse buy - but it has received many positive reviews. In fact, this made the BestProducts list of effective skin firming creams. Online reviews of the product mention noticeable improvements but critiques the light (almost runny) consistency of the cream. Collagen. As we age, skin loses firmness due to a natural breakdown of collagen. To counteract this, look for products that contain this ingredient whenever possible. It improves strength and durability, leaving you with younger and firmer looking skin. Elastin. Something else you will likely see is elastin. According to an article on skin firming, elastin makes the skin snap back when pressed. However, it stops being produced in the body around puberty, so it is important to use products that promote production. Shea Butter. There are many benefits to this ingredient, including its ability to moisturize, smooth, and reduce inflammation. Shea butter is rich in vitamins A, E, and F, offers UV protection, and has essential fatty acids and nutrients that boost collagen growth. Vitamin E. This antioxidant is important as it neutralizes free radicals that can harm the skin. In addition, an article on vitamins for skin elasticity states that vitamin E can help maintain skin strength and promote a smoother and more supple appearance. Though skin imperfections are completely normal, it doesn't hurt to be proactive. Achieve the best possible results by focusing on consistency. Regular use of effective firming lotions, in addition to a balanced diet and exercise routine, can reduce cellulite and other skin concerns.